Please note:Image shown does not reflect current wine variety. Please refer to the product description and contents list for current availability. 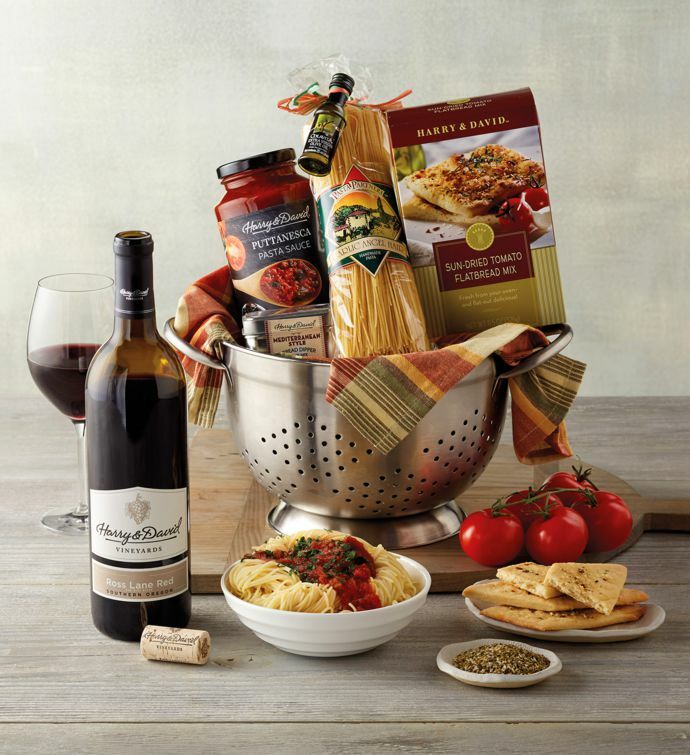 We make it easy to create a complete gourmet meal at home. This stainless steel colander is filled with everything you need, from delectable Premium Fiesta Fioretti artisan pasta to basil garlic Asiago cheese and a bottle of Harry & David™ Royal Crest Red blend wine. It all comes with lovely yellow kitchen towel.